Being one of the tremendously popular open source content management systems in the world, WordPress is widely used for blogs and business websites. We, at OdiTek, are proficient at developing smart and powerful web solutions using WordPress for worldwide clients extending from small ventures to Fortune 500 companies. At OdiTek, we strive to offer WordPress Development solutions that are compatible with all business models and industry verticals. Our team of WordPress developers provides WordPress CMS development, plugin development, theme customization and maintenance services, backed by state-of-the-art infrastructure and high-quality technology tools. Venturing into a partnership with OdiTek gives you an access to the all-encompassing solutions that assist in shaping the most avant-garde technology framework in your organization. At OdiTek, we guarantee many things, among which innovation stands tall. Quality, sustainability and product potential to reach different breadths of prospective customers follow suit. The compliance to several guidelines and standards has always been taken into the strides, but at the same time, we ensure that we keep breaking the monotonies and create something that’s unique and uninhibitedly imaginative. The team of proficient developers at OdiTek has hands-on experience in delivering intuitive and interactive WordPress Development services that anchor you to advocate and update your content as per your business pre-requisites. The focus on those requisites does not fluctuate, enabling you to make purchasing decisions with greater assurance. Our strong infrastructure reinforces the development of user-friendly WordPress themes, plugins and extensions that render advantages like ease of use and search-engine friendliness. As you make strides towards advancement, OdiTek serves to be your ideal offshore partner. Reach your prospects online with lightweight yet fully featured WordPress eCommerce site. Using the inbuilt web template system in WordPress Development, users can simply re-arrange widgets, or switch between themes, without introducing any changes in the PHP or HTML code. For more advanced customizations, TechnoScore offers variety of theming services including custom themes development, incorporating a new theme design for a current site, etc. The following skills might not be technical in nature or directly related to WordPress, but they are arguably every bit as essential as knowing how to do the nitty-gritty code stuff. Our WordPress Development developers are basically focusing 5 top skills for better development and those are listed below. As a developer, you wear many hats throughout the day. This is especially the case for those who are making a living or a substantial portion of their income from development projects. Having the wisdom to know when you need to delegate is a sign of a good leader. Choosing qualified people to be on your team is an even greater sign of leadership ability. They like to keep up to date with the latest technology. They want to know about the latest innovations, whether in WordPress or development as a whole. However, not all are so naturally hungry for keeping their technical skills up to date. A WordPress theme framework allows you to build WordPress themes the same way Volkswagen builds its cars. They use only a handful of platforms, on which they can build dozens of different models for their four major brands. Each car model has a common set of components like engine, powertrain or suspension. But when it comes to designing the interior and exterior, each brand gives its own flavor to make it unique. 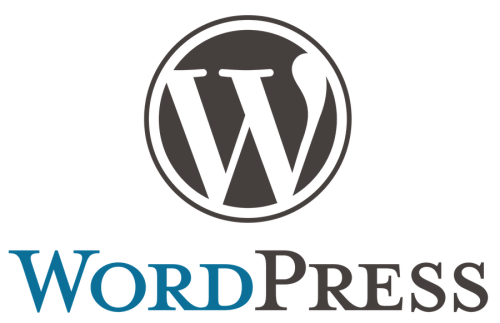 WordPress is the most commonly used online publishing platform on the planet. Millions of people view billions of WordPress pages every month. It used to be that many of those pages were on smaller blogs, but WordPress is becoming a more and more sophisticated tool and, with more complex demands, WordPress developers are bringing some of the most up-to-date techniques to develop WordPress sites. We'll look at four of them.